An uproarious new novel in the tradition of Robert Asprin and Terry Pratchett! For someone who's immortal, Never Dead Ned manages to die with alarming frequency--he just has the annoying habit of rising from the grave. But this soldier might be better dead than face his latest assignment. Ogre Company is the legion's dumping ground--a motley, undisciplined group of monsters whose leaders tend to die under somewhat questionable circumstances. That's where Ned's rather unique talents come in. As Ogre Company's newly appointed commander, Ned finds himself in charge of such fine examples of military prowess as a moonstruck Amazon, a very big (and very polite) two-headed ogre, a seductively scaly siren, a blind oracle who can hear (and smell) the future, a suicidal goblin daredevil pilot, a walking tree with a chip on its shoulder, and a suspiciously goblinesque orc. Ned has only six months to whip the Ogre Company into shape or face an even more hideous assignment, but that's not the worst of his problems. Because now that Ned has found out why he keeps returning from dead, he has to do everything he can to stay alive. . . . 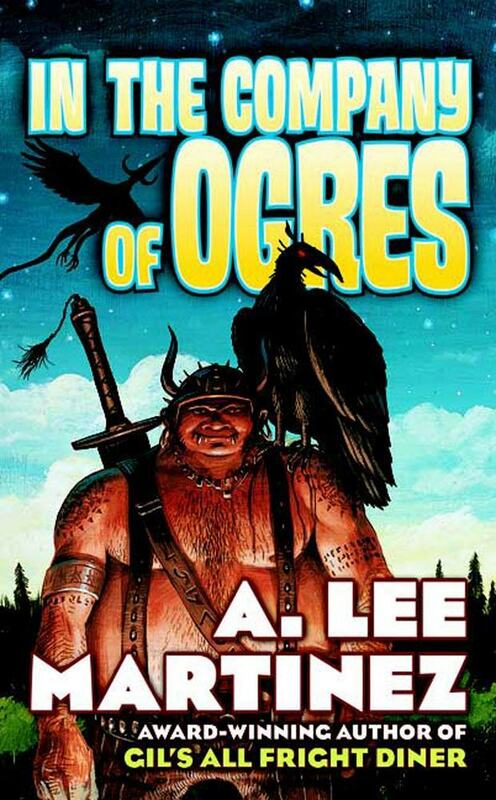 In the Company of Ogres does for fantasy, what A. Lee Martinez's previous novel, Gil's All Fright Diner, did for horror--and elves and goblins may never be the same!